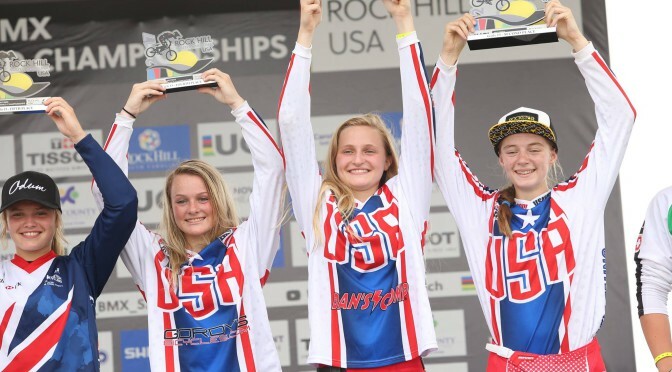 Since July’s UCI World Championships in Rock Hill, our US Junior Team have kept busy on the race front all summer long. 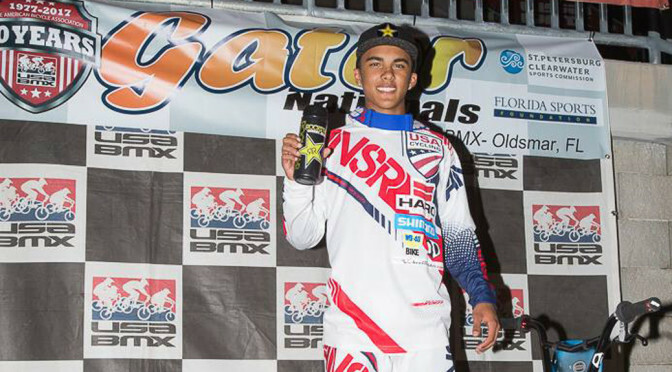 Noah Ramos and Payton Ridenour took wins at the Mile High Nationals in Colorado and just a few weeks later Kamren Larson took wins both days up in Washington at the Lumberjack Nationals. On the State Championships side of things, Payton won her State/Gold Qualifier over in Pottstown, PA with Noah and Kamren both winning out west at the Tangent Pro/Am in Northern California in their respective classes. Kamren also made the Pro/Am Main event in a deep class of 36 riders, which is a big stepping stone in the larger picture mixing it up with some of the world’s best Elite riders. 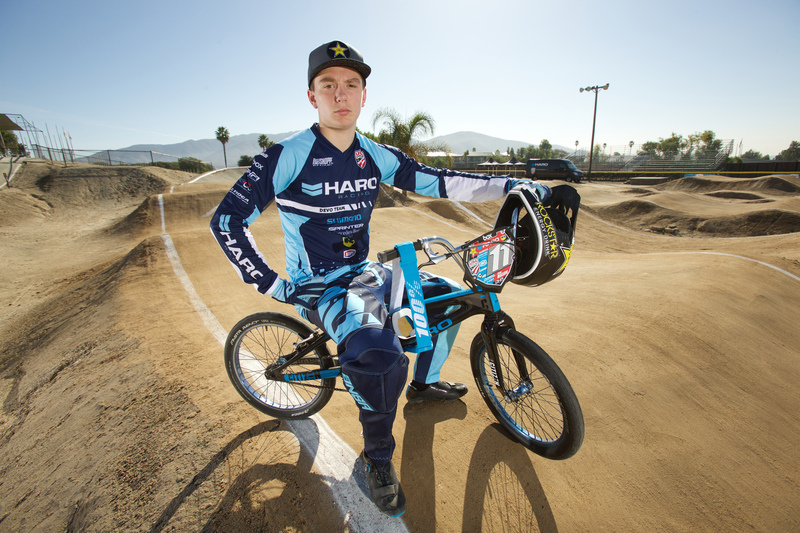 Colin Whittington who has been focusing on school for the first part of the summer is easing back into race mode getting on the podium at the Las Vegas Nationals and coming in 2nd at this weekend’s States race in Lake Perris, CA. 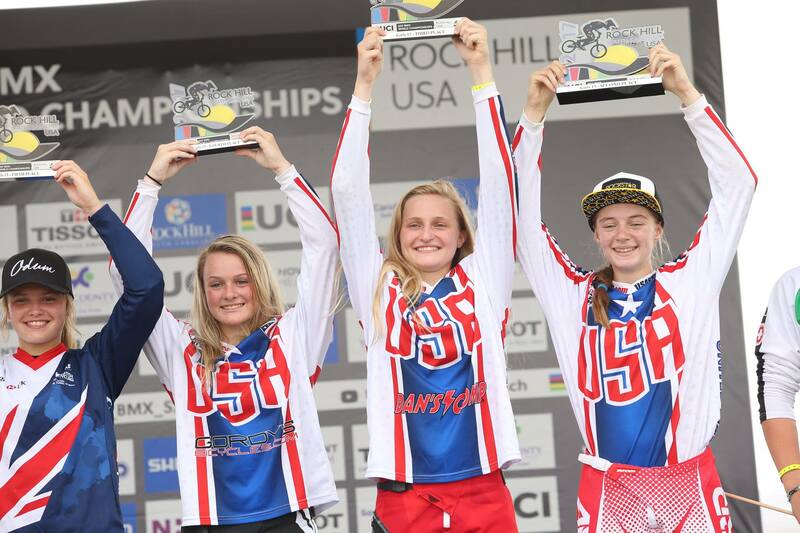 At her first UCI World Championships, we’re stoked to see our US Junior Development team’s Payton Ridenour on the podium in the 2nd spot in the 15 Girls Class. Being so close to the win can only continue to give The P-Nut the motivation and drive for the years ahead. 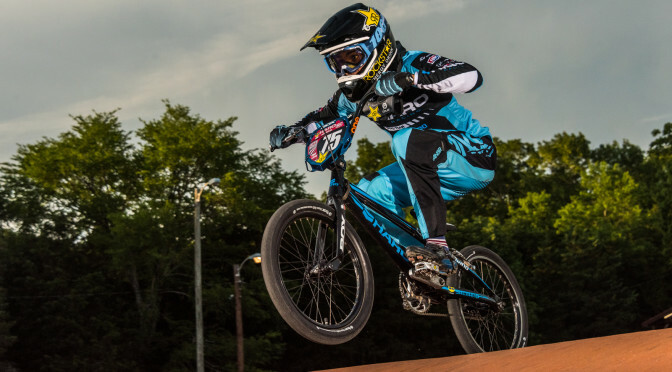 The latest stop on the USA BMX National schedule this weekend was at one of the most famous east coast tracks, South Park BMX in Pittsburgh, PA. The track was originally built in 1978 and is known for its natural flow and beautiful park location. The men’s side of the US Junior Development Team was unable to make the trip, so Payton “P-Nut” Ridenour held down the fort. She was up against some stiff competition in the 15-16 girls class as well as the demands of the ever-changing weather and track conditions. Rain delays on Friday and Saturday forced the race to be postponed while the track was covered and uncovered several times. However, Mother Nature paid everyone back with a sunny and dry Sunday. The event staff did an amazing job of keeping everything running. 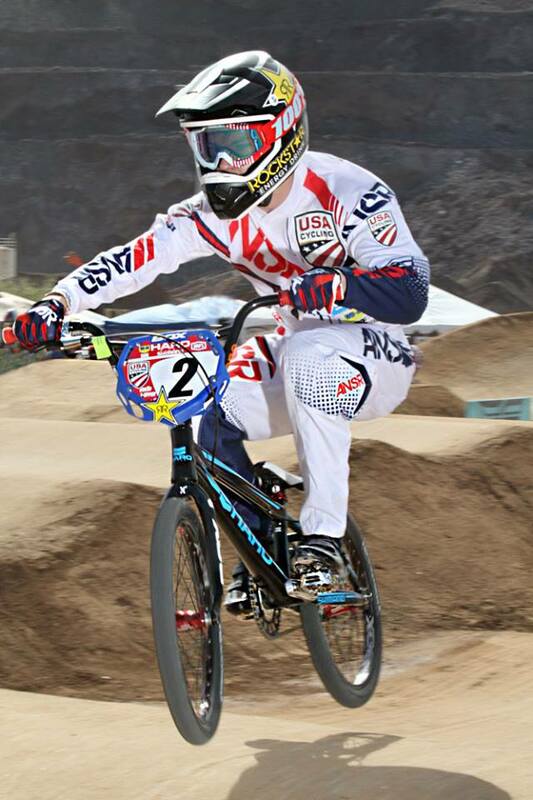 Payton was on the podium all three days, getting 3rd on Friday and Saturday and a 2nd on Sunday. 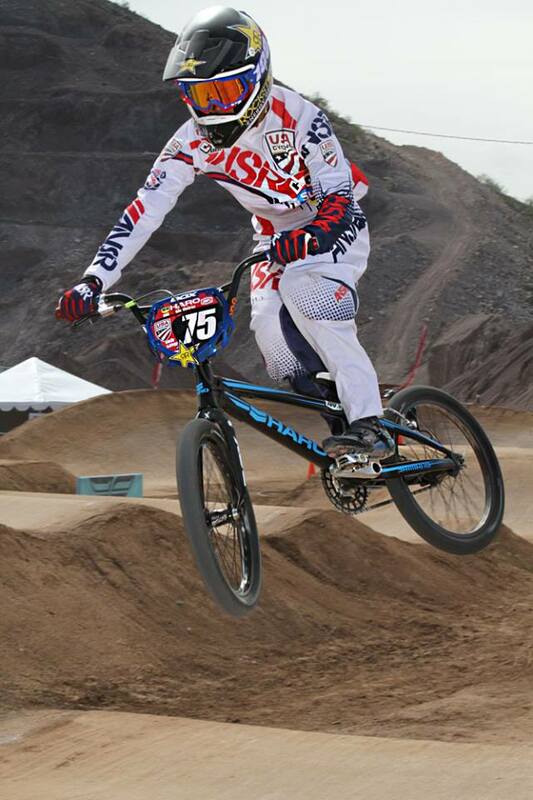 This was a great opportunity to prepare for the UCI World Championships in Rock Hill, SC, later this month. PC: Eric Doty / On The Road. 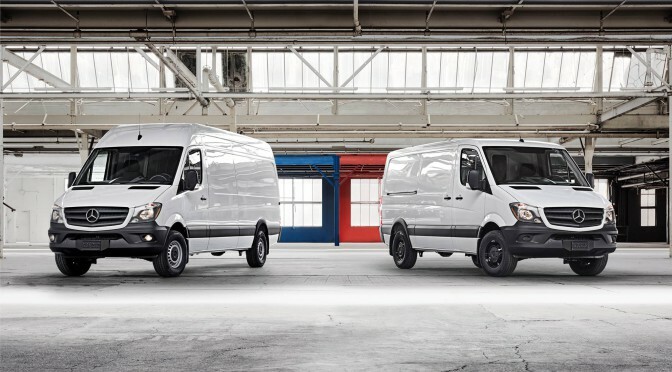 Check out the edit our US Junior Development Team just finished with Sprinter Mercedes Benz of San Diego. Justin Kosman did an awesome job on this one. 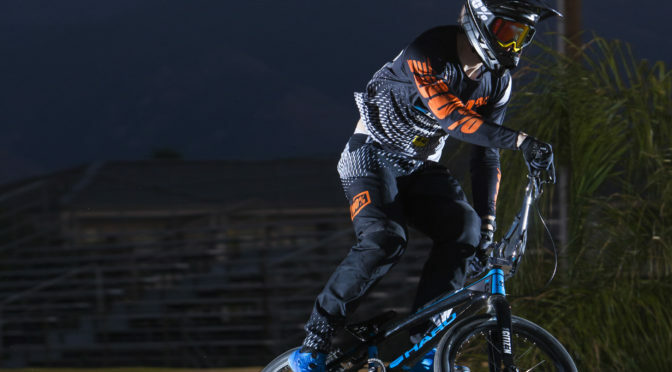 We hit Salt Lake City this past weekend on the recent USA BMX National Schedule for the men’s side of the Junior Devo Team with Colin Whittington, Noah Ramos and Kamren Larsen. They were all ready for 3 days of National racing. 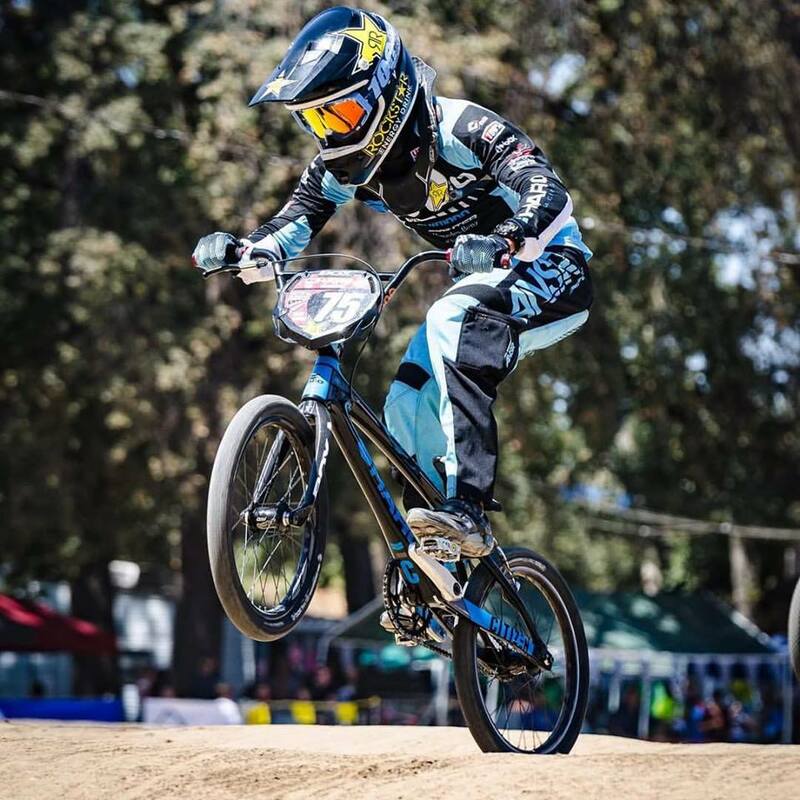 Colin was easing back into racing after focusing on school for the last few months and even though he did not figure in the results he put in some good laps and made the mains on Sunday. Still lots of motivation as we move into the summer for Colin. 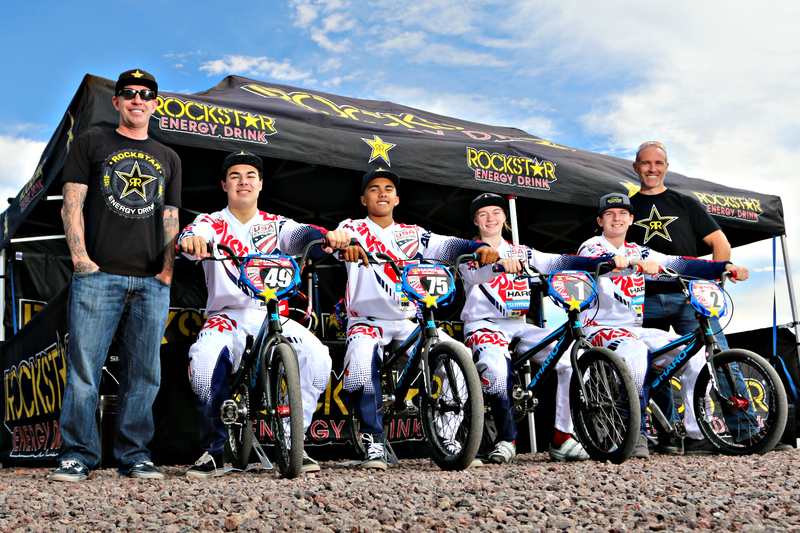 Both Noah Ramos and Kamren Larsen flew into Salt Lake a few days early to spend some time training with our Team Coach, Arielle Verhaaren before the race alongside helping out with a Grass-Roots Clinic on Thursday at the track with the GT Team, which had a huge turn out and was a success with so many local bmxers showing up. 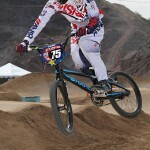 Race-wise, Noah made some main event appearances but no podiums this weekend. Kamren Larsen like Nashville, was feeling good going in but somehow crashed out Friday while leading the 17-18 x final in windy conditions. 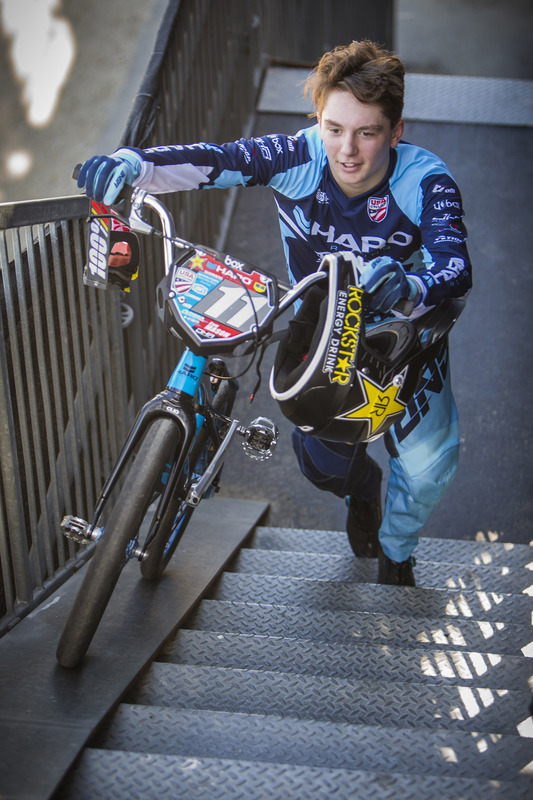 Saturday Kamren finished a solid second place and like Friday, more bad luck Sunday, crashing out while leading the semi final. Still lots of positives to take away from the weekend. The boys headed down to San Diego for a week’s Camp at the Olympic Training Center with other riders on the US Team prepping for this Summer’s World Championships. 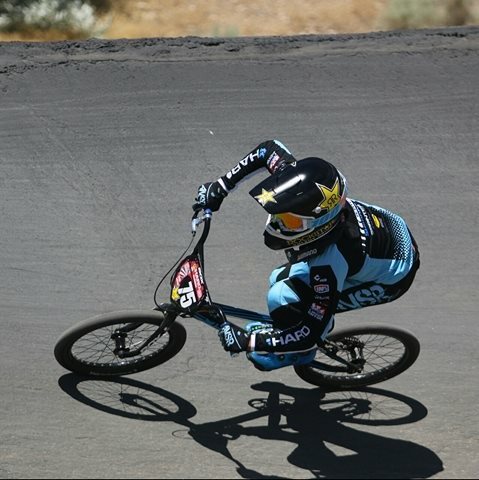 While we were out in Utah, Payton Ridenour was flying the flag back East Coast racing and winning both days despite moving up a class! Clearly, it didn’t slow her down a bit. Now, she’s hopping on a plane to make her way out to the OTC for this week’s camp as well. 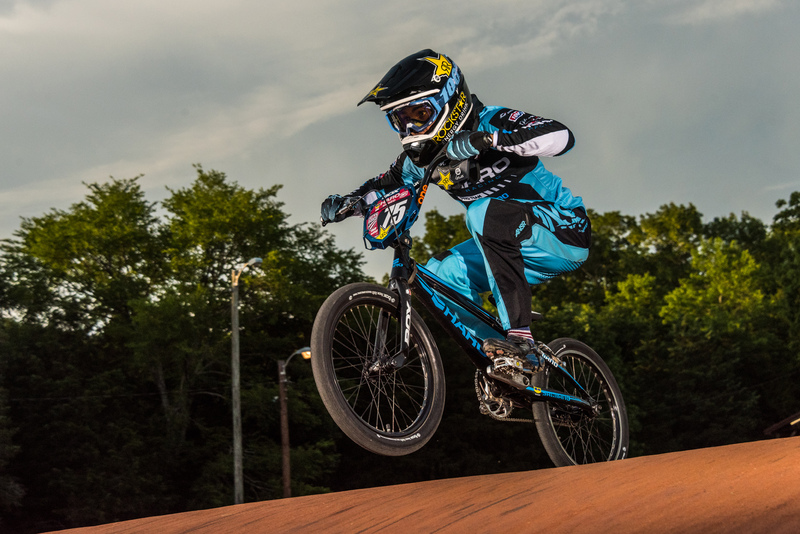 The Music City Nationals in Nashville, Tennessee is one of the iconic races on the USA BMX National Schedule that goes back to the early 80s with the Murray World Cup, which was held at the very same venue. 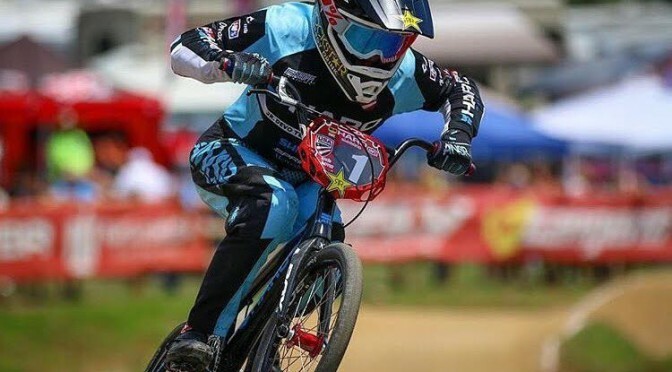 Our US Junior Development Team riders, Noah Ramos, Kamren Larsen & Payton Ridenour all spent the week leading up to the race with the Team Coach, Arielle Verhaaren over in Rock Hill for a Pre-Worlds Junior Camp. Even though our crew was understandably tired from the Camp, it didn’t slow them down. Payton Ridenour came away with a 1st, 2nd and crashed out day 3 while out front. Noah Ramos moved up a class into the highly competitive 16x and rode strongly all weekend long, coming away with 3 main event appearances and a consistent 3rd and 4th in the bag with a dose of confidence, and it’s clear the hard work he’s putting in with Arielle is paying off. Kamren Larsen has really excelled since joining our program and was primed for a win anytime. 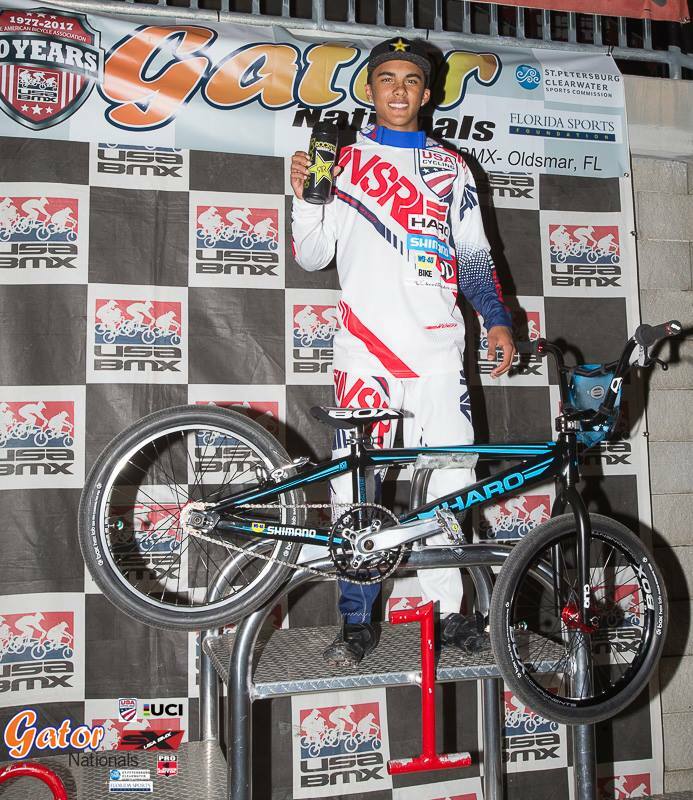 Nashville was that time, as he won 17-18x all 3 days against the country’s best in that class. Kamren is on a roll right now putting in the work and it’s paying off. All-in-all our best weekend as a team to date since this program rolled out back in January. We leave Nashville with 6 Podiums and 4 wins, which really puts us on the right track as we head into the summer. Next up, the Team will be in Salt Lake City, Utah in 2 weeks times. 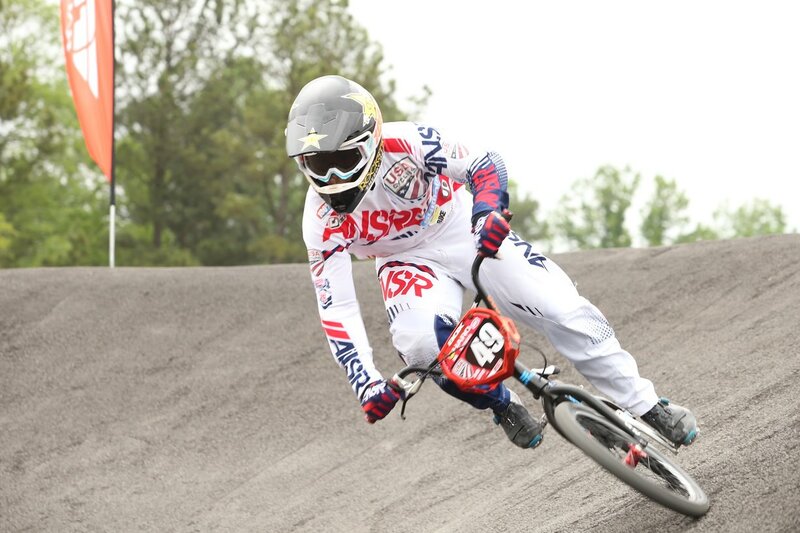 The US Junior Development Team headed back East this weekend to Atlanta for the USA BMX Dixieland Nationals, which were held in Cobb Country, Powder Springs, GA. Payton Ridenour, Noah Ramos and Kamren Larsen all made the trip out and were looking to continue building on an already good start to the year, as we move into the summer part of the season with the World Championships in July – which is the main goal for the season. 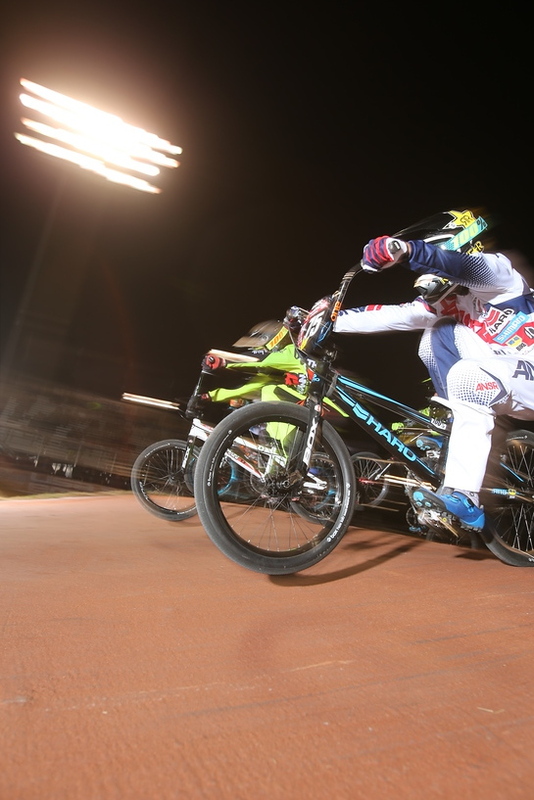 Noah was racing 15 x and Kamren 17-18 x, both were riding well during Saturday’s race but both crashed out in the same place in the semi-finals while in qualifying positions. Just bad luck. Both came back stronger Sunday with Noah placing 5th in his final, and Kamren fighting a bad start in his final to a 2nd place with a real gutsy ride and a good finish to the weekend. Payton Ridenour was on it all weekend long. Her time training in Chula Vista and working with Team Coach, Arielle Martin, is really starting to show great benefits to her. 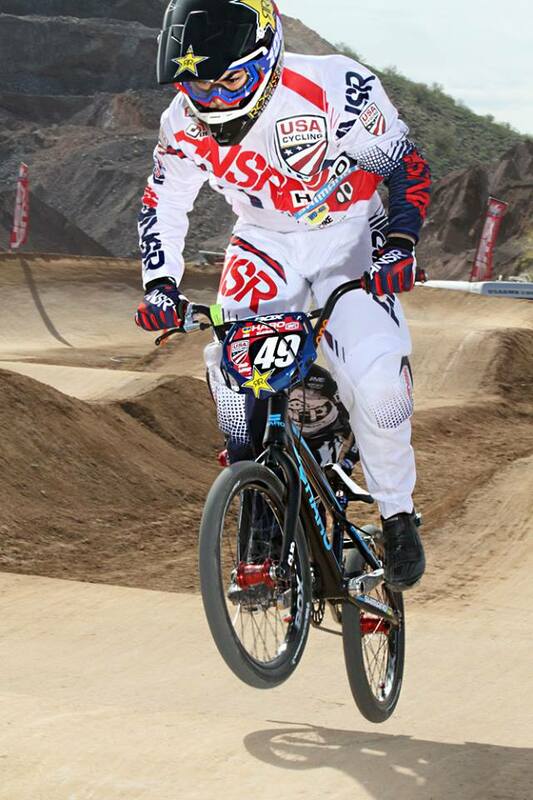 Payton came from 2nd place to make the move on the leader on day one making the pass and taking the win. She dominated Sunday, taking the win from lane 8 start to finish. 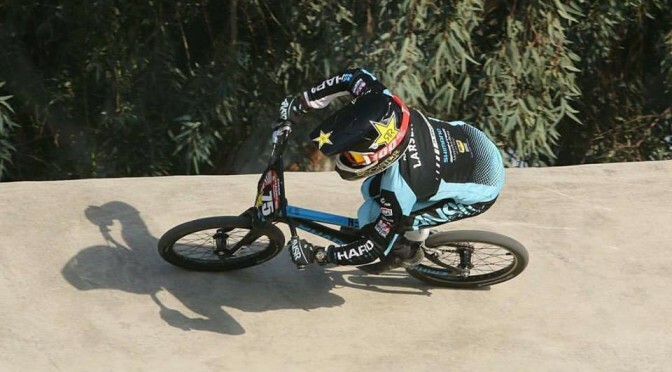 We also wanted to note and thank John Buultjens from Haro, who came out for the weekend to check out the action and spend some time with the team to get to know everyone. Thank you, John. Next up for the Team – Nashville, Tennessee later this month. 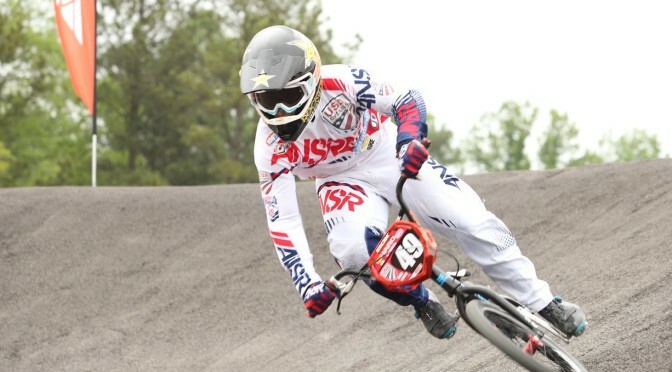 Over the weekend the USA BMX 2017 National Tour continued at the Novant Health Supercross facility in Rock Hill, South Carolina which will also host the UCI World Championships later this summer. 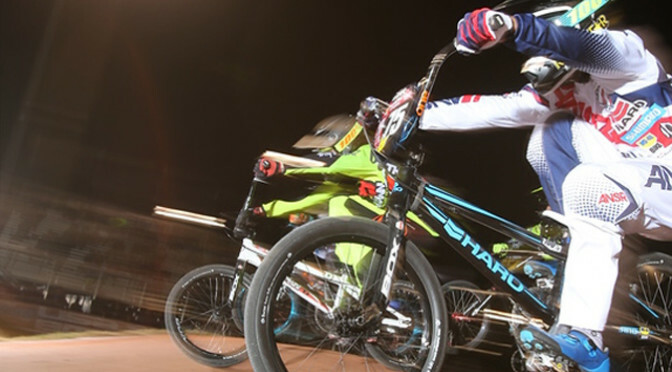 The full US Junior Development Team made the trip out to South Carolina, as not only National points were on offer but this event also doubled up as a World Championship qualifier for a lot of the riders. Noah Ramos, Kamren Larsen & Colin Whittington have all trained hard to build up to Rock Hill at their first official training camp at the Olympic Training Center last month. 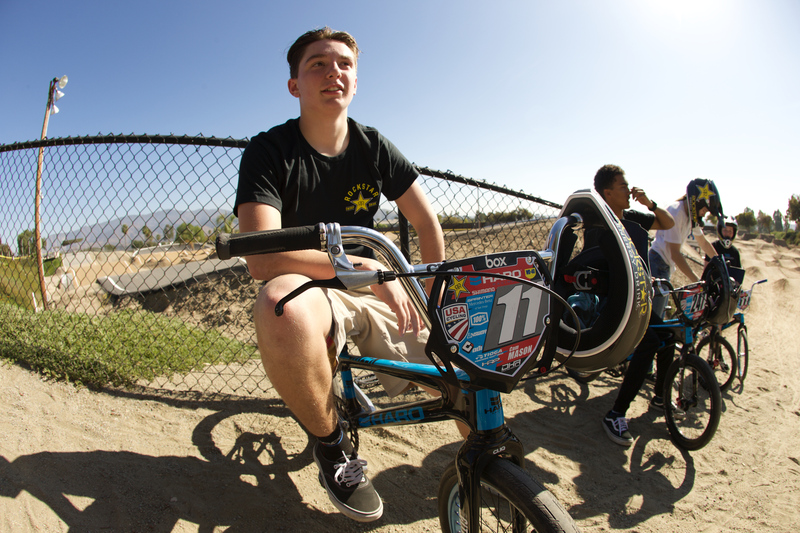 In addition to these guys, our Pennsylvania based rider, Payton Ridenour were all feeling confident going in. 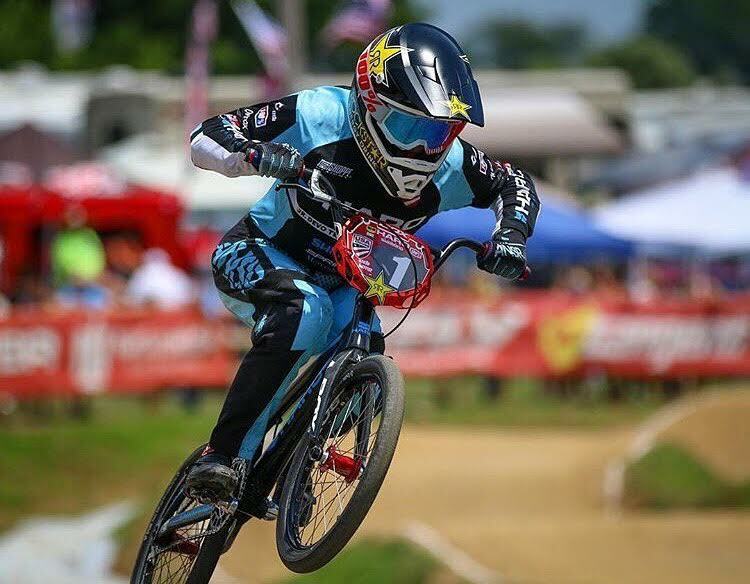 Friday night marked the USA Cycling National Championships for Junior & Elites with not only Stars and Stripes on the line, but also for Kamren & Colin racing in the Junior category, there were two qualifying spots available for the World Championships. In short, they’d need a first or a second to put them in. 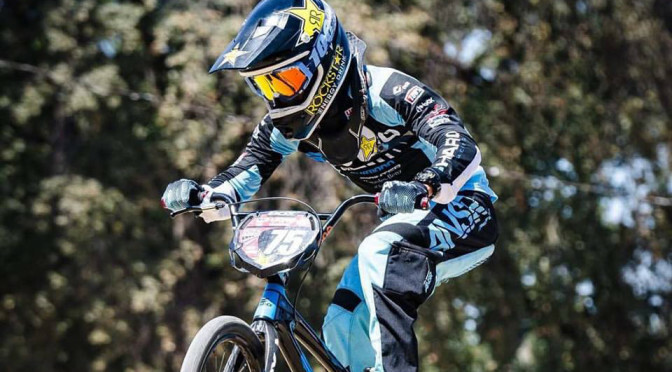 With three Moto total points for the title, Kamren was sitting pretty with two wins going into the 3rd round and it was looking like he was going to take the win – when a small mistake going into the last turn caused him to unclip and get bumped back to 6th. Still 1, 1, 6 was still good enough for 2nd overall and even though he missed out on the title, 2nd it was still good enough to confirm Kamren’s spot on Team USA later this summer. 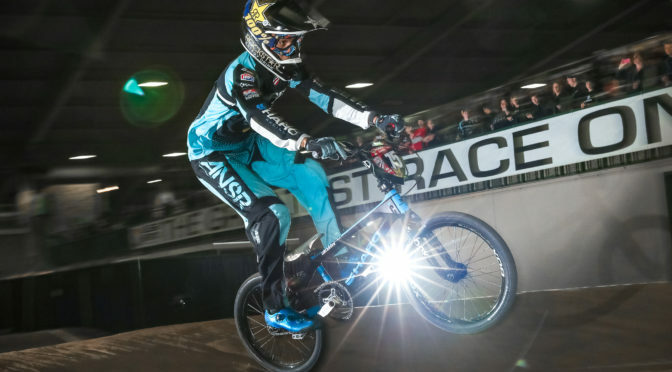 Noah Ramos was racing 16 Boys Friday night and breezed through the long day of racing qualifying his spot for the World’s. 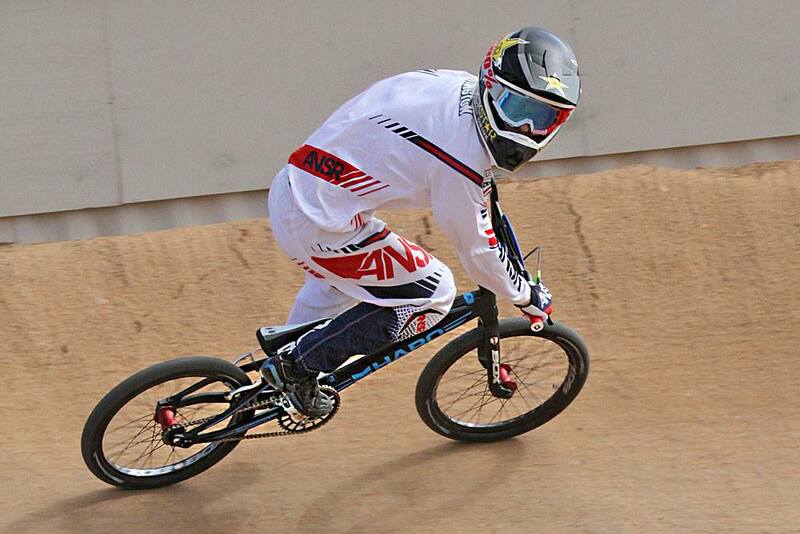 The rest of the weekend marked a regular USA BMX National. Payton Ridenour (Already qualified for the World Championship) put in a flawless performance winning her class Saturday and making her new Coach, Arielle Martin-Verhaaren, very proud. Noah Ramos was also on a mission taking a huge win in his class and a double dose of celebration was in order for Coach Arielle. Kamren Larsen had some bad luck Saturday going down in qualifying and a trip to the medics with a few minor injuries. The best option was to sit out the rest of the weekend and rest up. Colin Whittington didn’t fair in the results over the weekend but still came away with some good positives to work on during the next few weeks. All in all, a very solid weekend for the Team with a big not of thanks to our new Coach, Arielle Martin-Verhaaren, Jamie Staff and Andrew Kramer for all of the support over the weekend. As we depart with 3 podiums, we’ve renewed our motivation and drive to press on. From Phoenix, the US Junior Development team headed to Oldsmar, Florida for the Gator Nationals with much better conditions than last week; easy breeze with the sun out. 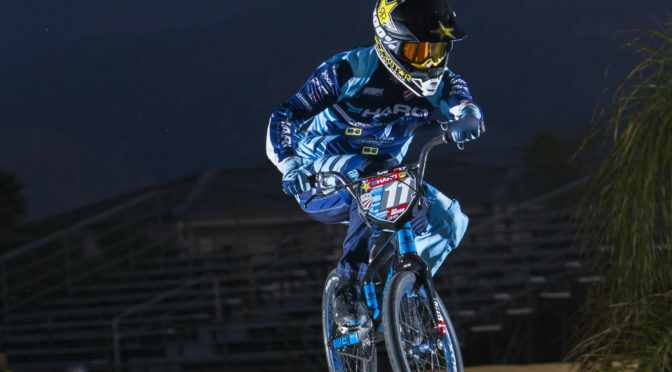 Kamren Larsen, Colin Whittington, and Noah Ramos were all racing with Colin and Kamren not only racing the national but also racing Friday’s SX open on the big hill. Both guys have not ridden SX in over a year – so it was a bit nerve wrecking for both – but they managed to push through and qualify for the final with Colin coming in a respectable 6th place and Kamren going from 3rd place in the first turn to passing both riders ahead of him and taking the big win! 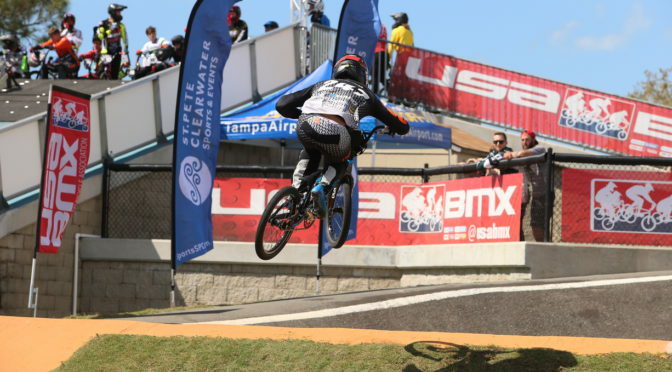 Saturday & Sunday all three guys raced the USA BMX National – Colin had a bit of trouble qualifying during the weekend but Kamren hit the podium again on Saturday with a 3rd in 17-18 x and also making the main on Sunday. Clearly, a solid weekend for Kam. 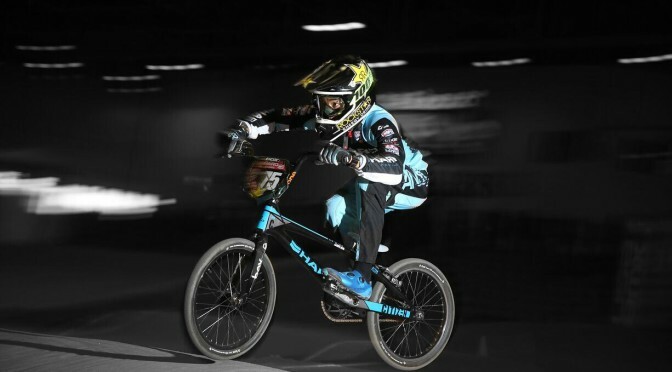 Noah rode consistently all weekend despite not hitting the podium, he made 3 out of 4 mains and has lots to build on going into the National Championships next month. Now, the guys all head back to California for a little rest before heading to Chula Vista’s Olympic Training Center for the first US Training Camp of the year. 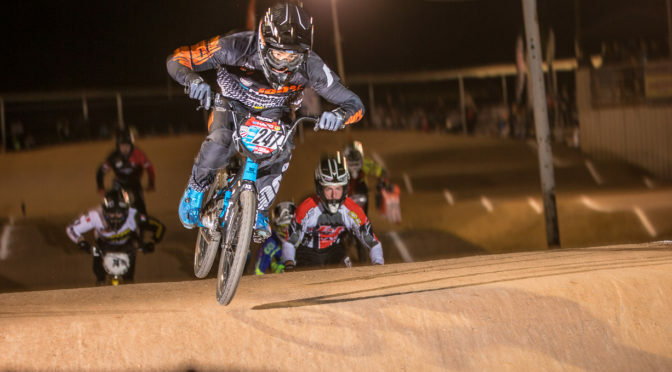 The Winter Nationals in Black Mountain, Phoenix, Arizona has a deep race history in the American race scene and for a lot of us – the real first test for the season is here with such a big turn out in most classes across the board. 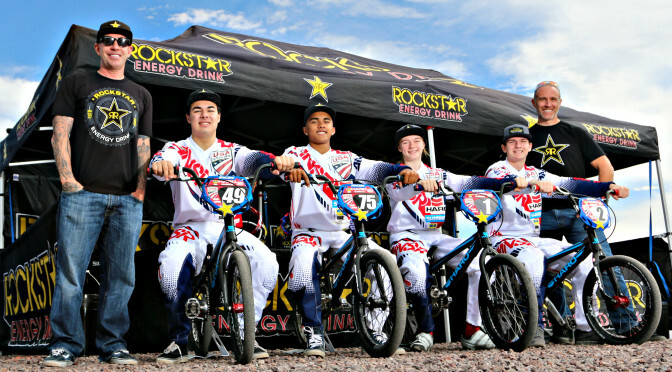 The USA Cycling Junior Development Program has just partnered up with Rockstar Energy Drink in the last few weeks and looking to make its first full team line up appearance for the 2017 season. 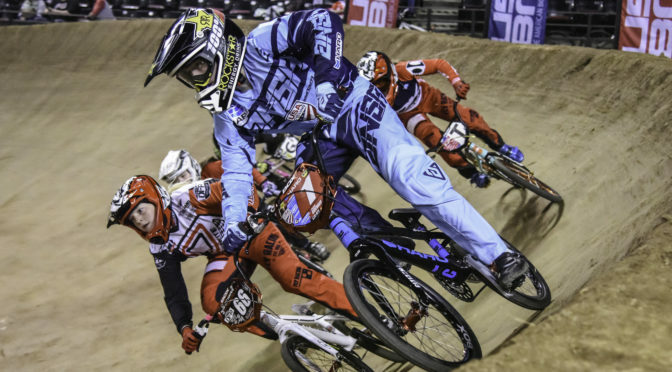 Payton Ridenour was first up for the team racing Friday night at the World Championship qualifier and coming home with the big win and setting the stage for the rest of the weekend for the Team. Saturday, as predicted all week, the heavens opened up raining all day long and turning the track into a slippery mud fest lotto for every rider racing. Noah Ramos 15 x, Colin Whittington 17-18 x and Kamren Larsen 17-18 x all were riding good but crashes due to the slick conditions made it impossible to be consistent up front all day but all still managed to make some Open finals — but again, crashes in the mud kept them off of the podiums. Payton Ridenour coming from the East Coast and a little more used to these kind of conditions put another solid day in coming in 1st in Open and 3rd in class. With Sunday’s National cancelled due to more rain over Saturday night that’s a wrap on the Winter Nationals and the Team all head back to the East Coast for next week’s Gator Nationals in Oldsmar, Florida where everyone is looking for better conditions. Big thanks to Jamie Staff and everyone at USA Cycling for the support of this new program and all the Teams sponsors for 2017.